New Zealand is trying to kill millions of invasive mammals. But without new technology, the plan is doomed. If New Zealand’s government could have its way, no one in the entire archipelago would ever have to see a rat or a possum again. Following a series of efforts to control the pest population, Prime Minister John Key announced in July the launch of “Predator Free New Zealand 2050,” an initiative aimed at eradicating every single rat, stoat, and possum (and now, feral cat) from the 103,000-square-mile country by 2050. That’s tens of millions of animals in just 34 years. The stoat, a predatory mammal that preys on rabbits and the native bird species of New Zealand. This is by far the most ambitious mammal eradication program ever proposed in a large, populated land area. If successful, experts say, the plan could help save many of the country’s native flightless birds from extinction — not to mention maintain a tourism industry that relies heavily on the country’s unique fauna. But whether New Zealand is capable of killing that many animals is far less certain than its government has made it out to be. To reach the goal, experts agree that New Zealand will need a massive technological breakthrough — one that could involve never-before-used techniques like using gene-editing technologies to target animals’ fertility or creating animal detectors that can “sniff out” rats just like a dog can. The effort will also need substantial, sustained funding from both government sources and private companies, which could prove difficult to obtain. And although the public appears generally supportive, without their long-term participation, there’s a real chance the initiative to kill every rat, stoat, and possum in New Zealand could turn into an expensive and ultimately futile experiment. “I don’t think we should discourage them, but it will be really difficult,” said Euan Ritchie, an ecologist at Deakin University in Australia. Michael Parsons, a behavioral ecologist and rat researcher at Hofstra University in New York, is similarly perplexed. “I don’t like being one of the skeptical scientists, but I’m extremely torn,” he said. “What I’m hearing is a lot of ambiguity and hyperbole and rah-rah and hard talk, without any real discrete plan.” Carolyn King, an ecologist at New Zealand’s University of Waikato who studies the country’s predators, is even more direct. Achieving the goal of being predator-free “isn’t possible now,” she said. Predator Free 2050 presents an immense challenge for New Zealand. Still, even researchers who think the country will fail agree that if any nation can eradicate its most persistent mammalian predators in 34 years, New Zealand would be the one to do it. New Zealand’s native wildlife never had a fighting chance. When the archipelago broke off from the supercontinent Gondwana about 85 million years ago, the country ended up with a unique mix of birds, fish, reptiles — and only three species of land mammals, all of them bats. Because of this, New Zealand’s flightless birds spent millions of years adopting survival mechanisms tailored to avoid flying predators like giant eagles. This essentially means that native birds freeze when they feel threatened. And that behavior is unfortunately entirely ineffective against the mammalian land predators that gobble them up like popcorn. The kakapo, a flightless parrot native to New Zealand, is close to extinction. Rats, stoats, and possums kill around 25 million native birds each year, according to New Zealand’s government. And that pressure has driven many species — like the flightless kakapo parrot — to the brink of extinction. 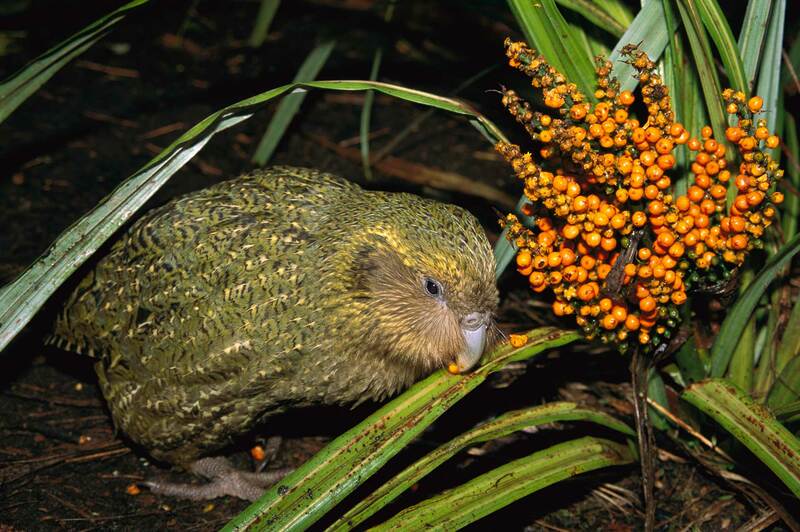 “There are about 160 kakapo in total now,” said Nicola Toki, New Zealand’s Threatened Species Ambassador and a spokesperson for the new initiative. And finding appropriate habitats where stoats can’t reach them has become very difficult. So, the obvious thing to do with the predators “is to get rid of the bloody lot,” she said. Of course, none of these problems would have occurred if New Zealand hadn’t been invaded by humans. Cats and large Norway rats were the first invasive mammals to make it to New Zealand. They were brought in with James Cook, the British captain who first mapped the country in the late 1700s. “Norway rats overran the whole country and many islands immediately,” King, the predator scientist, said. Ship rats came later, aboard vessels, and established themselves in the North and South Island in the 1860s and 1890s, respectively. Possums were brought in intentionally from Australia starting in 1837, so they could be bred for their fur. And stoats were shipped from the U.K. on multiple occasions between 1884 and 1892. Within 30 years, they had “spread over the whole country,” King said. Combine these predators with the fact that humans fractured the country’s natural habitats and hunted birds for food or feathers, and it’s easy to see why 41 percent of New Zealand’s native bird species have gone extinct since humans settled in the country about 800 years ago. Of course, a plan to get rid of humans wouldn’t go over too well. 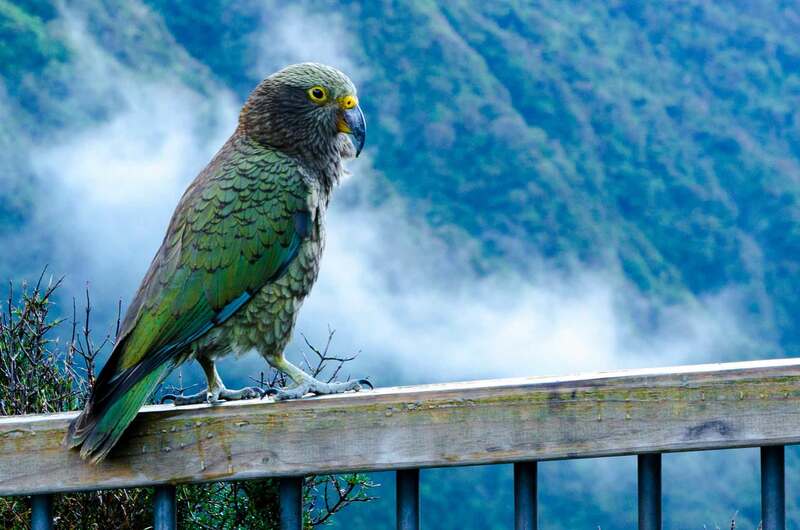 So officials are going after the country’s other pests — small mammalian predators that researchers agree are now “the primary cause” of bird population decline in New Zealand’s forests. The government will employ many of the same tools it has used for decades to control these predators: traps, fences, and poisons like 1080 — a biodegradable chemical widely employed and dropped by helicopter. But these won’t be enough. Not everyone thinks it makes sense to bank on scientists developing entirely new, safe and effective tools. “In my view, we need to have something so completely different that we haven’t thought of it yet,” King said — and that will probably take more time than the government would like. New technologies need to be tested repeatedly to ensure that they don’t have unintended consequences. They also need to be accepted by the public. New Zealanders have plenty of experience taking drastic steps to save the country from destructive, non-native species. Stoats were originally brought over to New Zealand to control its once-massive rabbit population. The plan backfired. 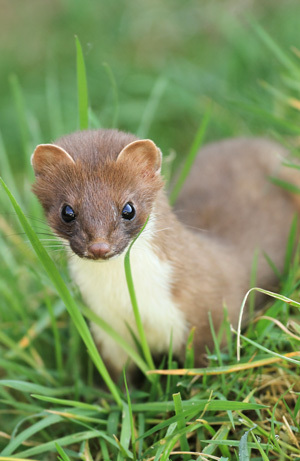 Besides reducing rabbit populations to manageable levels, the number of stoats in New Zealand ballooned as they attacked native wildlife. But Toki says New Zealand’s latest initiative is different. This time, the government isn’t outsourcing pest control of one invasive species to another. New Zealanders are going to do all the killing themselves — a job that they’ve spent the last 100 years perfecting. In 1901, New Zealand made one of its first attempts at saving a bird species threatened by a predator on an offshore island. This attempt focused on cats living on the 371-acre-long Stephens Island, and it was partially successful; by 1925, the cats had been eliminated by lighthouse keepers armed with shotguns. But the eradication effort didn’t occur fast enough to prevent the extinction of the flightless Lyall’s wren. Many other eradication attempts followed the Stephens Island project, each consisting of a larger challenge. “Fifty years ago, the idea of taking rats, even off a small island, was considered impossible,” Russell said. “Then we did it off a one-hectare island, and then off some more bigger islands.” Notably, New Zealand recently removed all cats, hedgehogs, possums, wallabies, rabbits, rodents, and stoats from two joined islands, Rangitoto and Motutapu, located next to the country’s largest city, Auckland. These island reserves harbor no permanent human residents, but their proximity to a populated area makes this an important achievement. Together, the islands cover about 15 square miles, or 25 times the size of Stephens Island. Officials also think they’ve successfully rid the 8,500-square-mile, uninhabited Antipodes islands of mice, which eat seabird chicks and eggs. New Zealanders are going to do all the killing themselves — a job that they’ve spent the last 100 years perfecting. Eradications like the Rangitoto-Motutapu project are achieved using intensive trapping, helicopters that drop rodent bait, “tracking tunnels” that give officials an idea of how many animals are there, and indicator dogs that signal when they smell surviving mammals. “About one-third of our offshore islands — around 117 of 345 — are cleared of introduced predators,” Russell said. “But they are only the small, uninhabited ones,” amounting to 10 percent of the offshore island area. These milestones have given the government confidence. But eradication efforts on New Zealand’s mainland have been far less substantial. The areas that have been successfully cleared of predators are small, measuring between tens and hundreds of hectares, “although a few are larger than that,” Russell said. Even small populations of humans can undermine proven techniques, because human infrastructure provides numerous hiding places, and people are great sources of food. In addition, animal populations almost always contain individuals that figure out how avoid traps and poisons, and these tend to be the ones that reproduce — which means they often pass on their avoidance behaviors to future generations. So most eradication technologies have a “shelf-life,” becoming less effective over time. Finally, killing off large numbers of a certain species can sometimes be beneficial for surviving animals because it reduces competition, making it easier for them to focus on reproduction, according to New York City rat researcher Michael Parsons. For all these reasons, humans have really struggled with eradicating pests in populated areas. Humans can undermine proven eradication techniques because people are great sources of food. The Canadian province of Alberta is known for being the only large, populated land area that’s essentially rat-free. But Alberta’s situation is wildly different from New Zealand’s because rats never truly established themselves in the region. Alberta’s government took steps in the 1950s to keep brown rats out when they were nearing the provincial border in the hopes the species would never gain a foothold. Still, even the most skeptical experts acknowledge that New Zealand is capable of great things when it comes to pest control. “If anybody in the world can do something about [the predators], it would be the New Zealanders, because of our experience, because of our confidence, and because we have a general sort of ‘We can do it’ view of the world,” King said. Poisons like 1080 have been shown to be effective in forests, but they can’t be used in areas where people’s pets or livestock might be affected. So, having average citizens set and monitor traps around their homes will likely be one the most important tools at the government’s disposal. The New Zealand Deerstalkers Association, a hunters group, is vocal in its opposition to 1080. Harvie Morrow, a representative, told me that although the group supports the government’s goal, it objects to the use of 1080 because it sometimes kills non-target animals. “Our native alpine parrot, the kea, cheeky as all get-out and nosey to the max, has just been estimated as having a total population around the 5,000 mark, [and] this once very widespread bird has been identified as extremely susceptible to aerial 1080 poison operations,” he said. The group also worries there may be negative publicity impacts from “being identified as a country which aerially distributes toxins” over large areas of land, Morrow said. New Zealand's kea population is a fraction of what it once was. If the government creates new eradication technologies, these too could face pushback — especially if they involve genetic engineering, says Susan Bidwell, a public health researcher at the University of Otago who has studied New Zealanders’ attitudes toward 1080. “Ten to 15 years ago, a lot of money was put into researching alternatives to 1080 and there was a lot excitement at the time,” she said. “But when it was learned that a lot of those initiatives would require genetic engineering, many of them became unacceptable.” The public’s outrage helped halt the research. For now, the New Zealand government is happy with the 2050 plan’s reception. “The public opinion on this has been overwhelmingly positive,” Toki said. But officials know they’ll have to put in a lot of effort to get people to participate. That’s why Toki has been making visits to communities that already have predator control initiatives underway. “I bring the national media with me to tell a story about what they are doing, so that wider New Zealand starts to see that they could do this,” she said. Developing new tools — and getting people to use them — is also expensive, and it’s not yet clear that New Zealand has the funds. One 2015 study found that getting rid of the country’s entire possum, rat, and stoat population would cost the government $9 billion over 50 years (the entire New Zealand economy is about $254 billion). The government made an initial pledge to Predator Free 2050 of $28 million NZ (about $20.43 million U.S.), to be dispensed over the next four years. Each year after that, it will inject $7 million into the initiative. Finally, New Zealand has said it would give $1 for every $2 spent by industry partners, which means that a large part of its success will depend on corporations showing an interest in conservation. Even when combined with the $70 million the government currently spends on predator control each year, those pledges could fall short. CORRECTION: An earlier version of this article included illustrations of an American opossum in place of a New Zealand possum. We have removed the offending mammal.